PNER has a single scholarship of up to $1000 to award to an eligible student this year. Scholarship monies are paid directly to the school or institution. Applicants must submit a letter describing their involvement with PNER (riding, volunteering, office-holding, etc) and their educational plans. 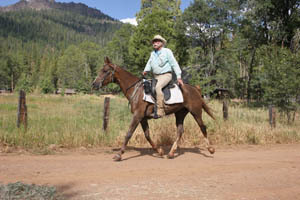 In addition, applicants must write an essay on some topic concerning the history of PNER and endurance riding. Application deadline is December 31st, 2013. The award will be given at the PNER convention in January 2014. HICKORY N.C. – Ruth Anne Everett knows a thing or two about horses. Since 1994, she has covered 6,750 miles in 131 endurance rides across the country. 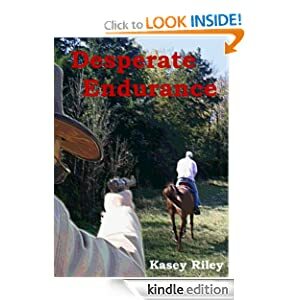 This year, she was the American Endurance Ride Conference’s (AERC) highest ranked rider in the Southeast, and she won the organization’s coveted National Hundred Mile Award. “It’s good, clean fun. It’s the adrenaline rush without a substance,” the 58-year-old Hickory resident said. The Sheraton Portland Airport Hotel in Portland, Oregon. Regional directors for AERC have been announced. Northeast region, Nick Kohut DVM and Skip Kemerer. Northwest region, Stephanie Teeter and Paul Latiolais. West region, Forrest Tancer and Andrew Gerhard. Approximately 68 riders started the North American Endurance Team Challenge 160-km course at 7 AM Florida time, under clear skies at 54°F, 65% humidity, with a predicted high of 70°. Leading riders are currently out on loop 3. Opening Ceremonies were held yesterday at the Black Prong Equestrian Center in Bronson, Florida, for the 2013 North American Endurance Team Challenge, hosted by the USA Southeast zone and organizer Helen Koehler. World Endurance Championships are held every two years. On alternate years without a WEC, the USA hosts a North American Endurance Team Challenge. The ride is held as a 160-km 3* FEI event. Horse and rider each have to be qualified (with a previous successful FEI 1* 80 km and FEI 2* 120 km finish in the last 24 months, but not together. The team zones are: The zones are Pacific North, Pacific South, Mountain, Central, North East, South East along with Canada East, Canada West and Mexico. 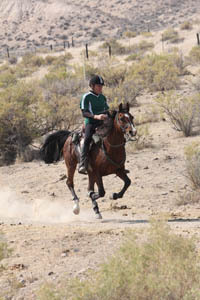 Each zone can send up to 12 team members, determined by the highest point totals earned on the endurance rider ranking list. Each zone can then determine its 3 teams; and additional horse/riders can compete as individuals. Each team has a Chef d'Equipe, a team vet, and uniforms. December 10 was the monthly Endurance Day on Horses In The Morning radio show, hosted by Glenn the Geek and Karen Chaton. The show covered the topics of safer horse containment and lameness research, and guest Christine Lazzarini talked about her endurance documentary, Arabian Silk: Horses of Endurance. This bill needs your support to amend the National Trails System Act to provide for the study of the Western States Trail for potential designation as a national historic trail. Long Title: To amend the National Trails System Act to provide for the study of the Western States Trail for potential designation as a national historic trail. • January 22, 2013.--Mrs. Feinstein added as cosponsor. To amend the National Trails System Act to provide for the study of the Western States Trail for potential designation as a national historic trail. • This Act may be cited as the `Western States National Historic Trail Study Act of 2013'. SEC. 2. WESTERN STATES NATIONAL HISTORIC TRAIL STUDY. ▪ `(II) the Western States Endurance Run. ▪ `(B) COMPONENTS- The study under this paragraph shall include a determination on whether the trail is appropriate for designation as a national historic trail.'. I wish to thank the board of governors for selecting me to be president of the Western States Trail Foundation (WSTF) for the coming year. It is a humbling experience to assume leadership of an organization with such a rich history. First I wish to quell the rumors that there will not be a Tevis Cup Ride in 2014 because of the American Fire. Yes, in some places there will be less shade on the trail, and we may have to ford the creek in the North Fork canyon rather than use the swinging bridge, but we foresee no reason that we cannot have the trail open for the 2014 Tevis. Last week Steve Hallmark from the WSTF and Mark Falcone from the Western States Endurance Run (WSER) led volunteer crews into the canyon for the first time since the fire. We are under the direction and supervision of the United States Forest Service (USFS) and in partnership with the WSER. They have been hard at work this week mitigating the trail damage and protecting the trail from the damage that will surely come with winter storms, We are fortunate to be able to partner with the WSER as the two groups together can generate more volunteers and funds than we could working alone. We do need your help, if you live in northern California are physically fit, volunteer for a work party. Check the Tevis Cup home page for more information on work parties. Did you know that in the past five years, 2007 through 2012, the WSTF spent over $161,000 on trail maintenance? We annually spend between $20,000 and $40,000 on the trail. Since its inception, the WSTF has invested over one million dollars in trail building and maintenance. We have established the Western States Trail Endowment Fund which has over $600,000 invested in a trust account for the trail. The earnings from this fund along with donations and fund raising events are the source of the funds that we spend on trail maintenance. Since the ride last summer we held two fund raising events, a fun run and a golf tournament. These events raised nearly $20,000 for the trail fund. We thank all of you who have made contributions and participated in our fund raising events. With the preliminary estimate for the restoration of the Swinging Bridge being $100,000 to $150,000 and the restriction on government funds, we will need to have many more fund raisers to complete repair of this historic bridge. It is going to take a lot of money to restore the trail and we cannot depend on government funds to do it. If the Tevis trail means something to you and you want to give back to the trail, now is the time. You can join a work party, hold a fund raising event, or make a contribution. The Western States Trail Foundation is a 501(c)(3) Non-Profit Organization. Your donation is fully tax-deductible. An aspect of Trail maintenance that many people don't think about is the legal maintenance. In the 1980’s when the Granite Chief wilderness was established we almost lost the right to use the trail. It is quite a story that needs to be retold but the short of it is that we lobbied Congress to pass a bill allowing the Tevis and WSER to use the trail and we won. Now there is another bill in Congress we need you to support to protect our use of the trail. It is Senate Bill S. 60. Please check this link to learn what this bill is all about. In the past few years the WSTF has been working on several major projects. We have completed retreading the trail between Auburn and Foresthill. Over the years slough of the banks on the uphill side of the trail had narrowed the trail to the point that it was becoming unsafe for horses. We cleared the slough, returning the trail to its original width. 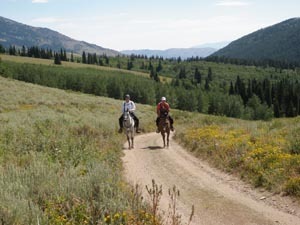 There is a critical need for more equestrian staging areas on the trail. The campground at Robinson Flat is the only official equestrian staging area west of Robie Park on the trail. Last year we completed five years of work on “Pickett Park” at the Auburn Overlook. You can now come to Auburn and have a place to park with your horse overnight and then ride the trail. To make this happen we needed to secure the lease of the land, have it surveyed, do an environmental impact study, obtain permits and permissions from the Bureau of Land Management and the Auburn State Recreation Area, obtain an encroachment permit from the city of Auburn and pave the driveway. All of this was done to convert a vacant field into an official horse staging area. We are currently working with the U.S. Forest service to establish a staging area at Chicken Hawk between Foresthill and Michigan Bluff. We have completed the design and environmental studies and hope to start construction this year. These are just a few of the projects that the WSTF has underway. Yes, we put on the Tevis Cup, truly a world class event, but we also have many volunteers working to preserve the Western States Trail and improve access for equestrians. Trail preservation is an equally important part of our mission. Now is the time to help preserve this historic trail. If you haven’t been to the official Tevis facebook page recently Garett Ford has posted the link to the HR TV video on the Tevis. I think it is one of the finest videos ever produced on the ride. Here is the link to check it out.